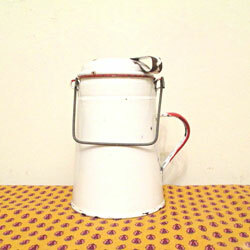 To carry milk, soup or other beverages, this old enamel pail has both a side handle and a metal handle on the top. It is white with red trim and measures 7 inches high (not counting the top metal handle). 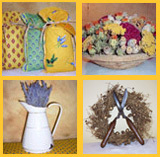 The interior is in excellent condition and the exterior has only the usual minor enamel chipping.